Bingo Broadway | £20 FREE on 1st Deposit! Fresh to the world of Bingo is our latest newcomer, Bingo Broadway. From the onset the Bingo Broadway site reflects a theatrical appearance. The site is welcoming, bright, fun and trendy. 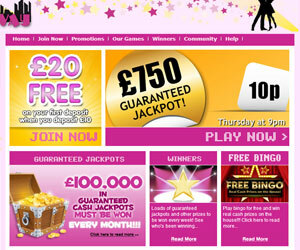 Exclusive to Bingo Broadway is their fantastic signup offer. Deposit a minimum of £10 and receive a 100% bonus and furthermore, every time you re−deposit you receive an additional 50%. Moreover, Broadway Bingo hosts very attractive promotions with fabulous cash prize giveaways on a daily basis. For example, cover every square on your bingo card and receive £2000 free. Bingo Broadway has many different games to chose from, including both 75 and 90 ball bingo, as well as slots, scratch cards, lotto, and keno games. Whilst playing bingo, players can speak to the chat moderators, a great way to join a social community and win extra points, equal to money. The Bingo Broadway site is simple and easy to navigate, but nevertheless contains a help section where you can find answers to frequently asked questions. 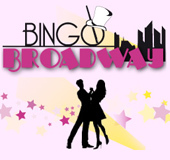 Should you need further help, you can contact the Broadway Bingo support team either by phone or e−mail. 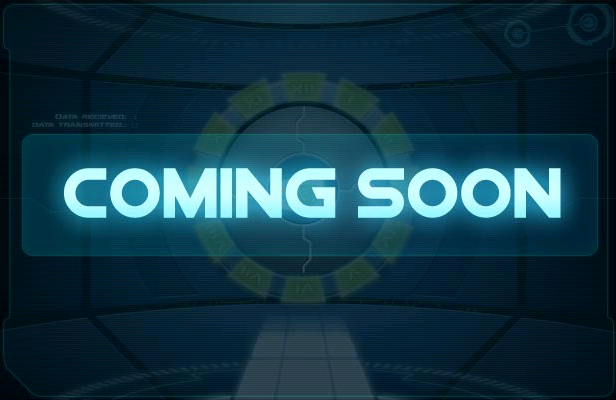 So for a chance to join an exciting new bingo site with a vast array of games, great prizes and continual fun, look no further, join Bingo Broadway today. For more information on other Bingo sites, refer to our up to date list right here at Lord Bingo.